The editor of the Democrat-Reporter in Linden, Alabama, wrote it's "time for the Ku Klux Klan to night ride again." 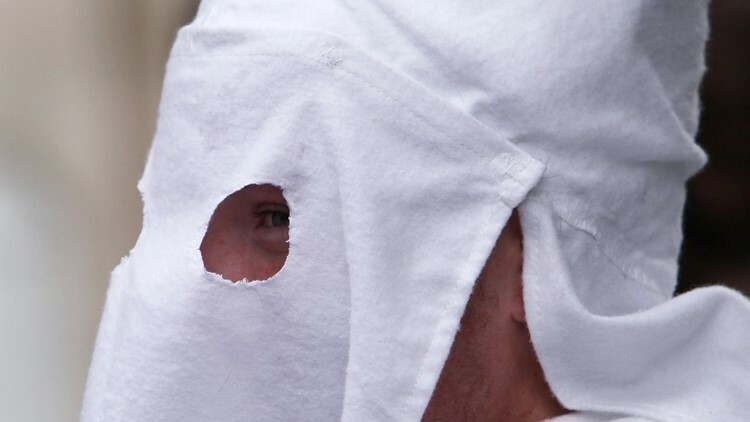 LINDEN, Ala. — The editor of a small-town Alabama newspaper wrote and published an editorial on Valentine's Day calling for the return of the Ku Klux Klan. The Montgomery Advertiser confirmed Monday that Goodloe Sutton authored the editorial in the Democrat-Reporter calling for the return of the white supremacist hate group. Sutton is the publisher of the newspaper. The Montgomery Advertiser shared a photo of the short editorial that ran on Feb. 14. In it, Sutton wrote it's "time for the Ku Klux Klan to night ride again." Sutton told the Advertiser, "If we could get the Klan to go up there and clean out D.C., we'd all been better off." The Advertiser said Sutton suggested lynching when asked to clarify what he meant by "cleaning up D.C."
"We'll get the hemp ropes out, loop them over a tall limb and hang all of them," he told the paper. Sutton also wrote in the editorial, "Democrats in the Republican Party and Democrats are plotting to raise taxes in Alabama...This socialist-communist idealogy sounds good to the ignorant, the uneducated, and the simple-minded people." The editorial, which was not published online, gained attention when two student journalists at Auburn University tweeted photographs of the paper on Twitter, the Washington Post reported. Then Monday night, Sen. Doug Jones (D-Alabama) called the editorial "disgusting" and called for Sutton to resign. Jones prosecuted two members of the Klan in the 1963 Birmingham church bombing that killed four young girls. Rep. Terri A. Sewell (D-Ala.) also called for Sutton's resignation, calling the editorial "deeply offensive." Twenty years ago, Sutton and the Democrat-Reporter were being considered for a Pulitzer Prize for investigative journalism. Sutton was even honored on the floor on Congress in 1998, the Post reported.